Introducing SuperZings…Are They Going To Be The Latest Craze? Are your children like mine? 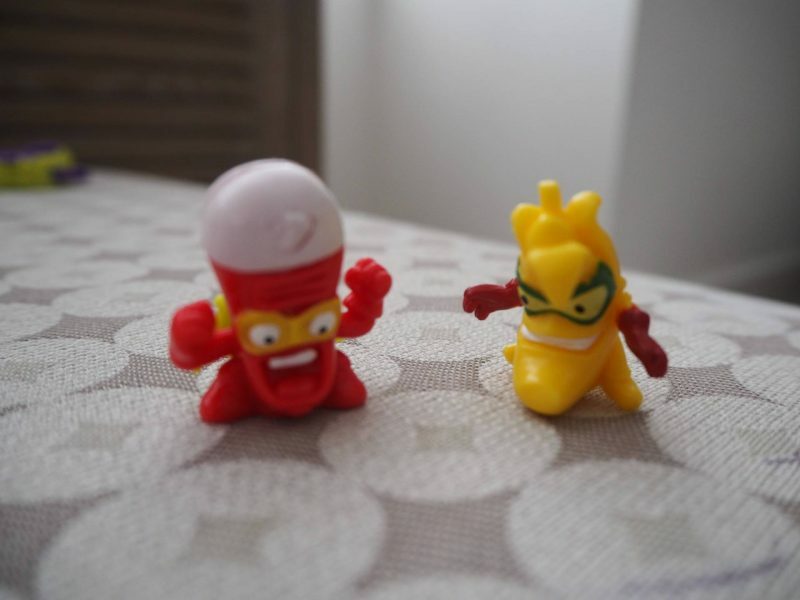 If it comes in a blind bag they go crazy for them! 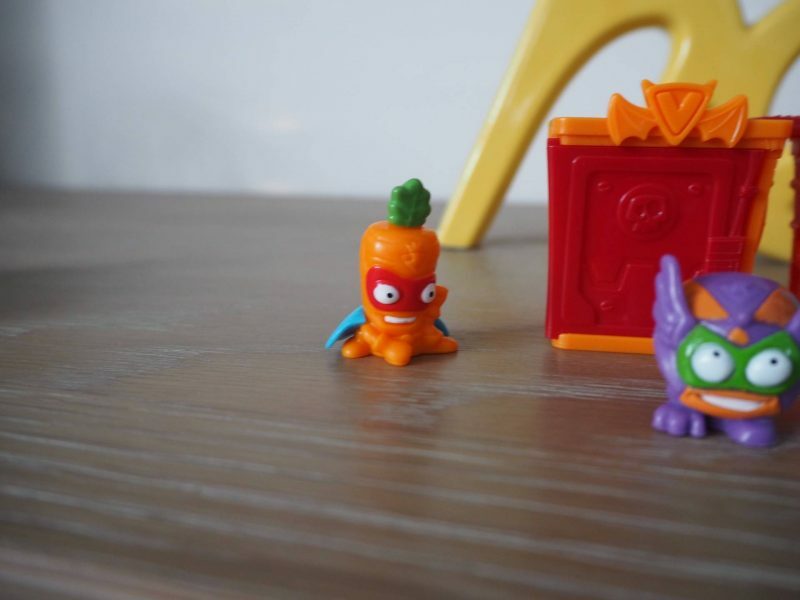 The lastest toy on the scene is SuperZings, they are everyday objects, like carrots, popcorn and ice cream brought to life in a fun, ‘Hero vs Villain theme. You can spot the superheroes in their capes and masks and there are more than 80 figures to collect. Each one has a matching ‘rival’ which adds a fun and different element to collectibles that I’ve not seen before. 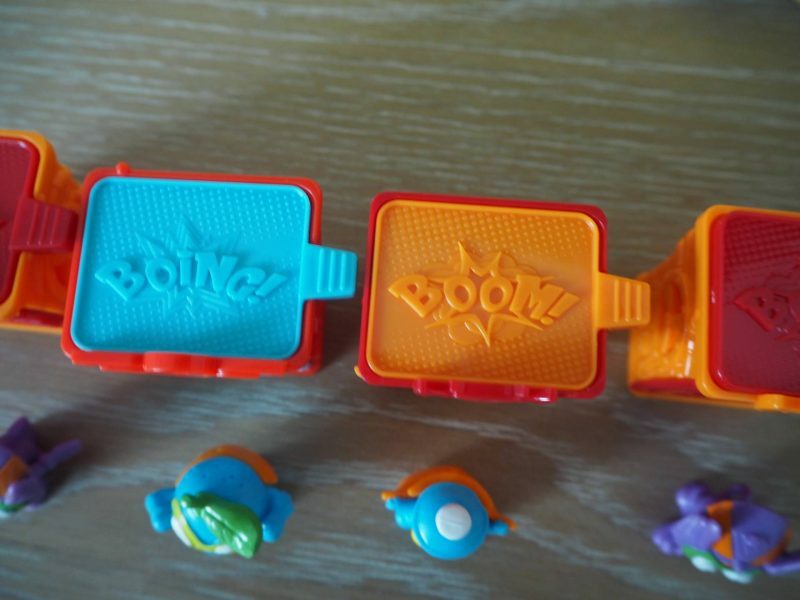 All the SuperZings live together in Kaboom City. 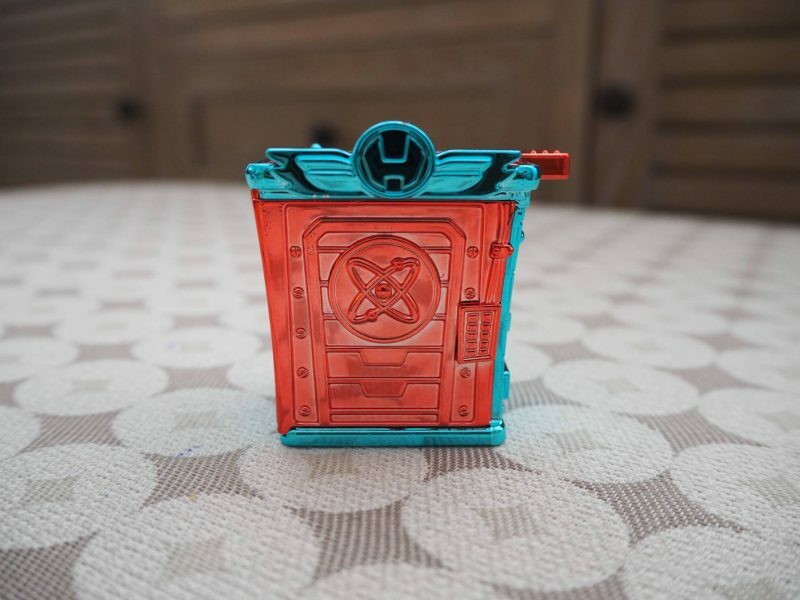 As with any superhero or villain they need somewhere to hideout and you can buy larger blind bags that come with a hideout and a SuperZings inside. My girls loved hiding the superheroes inside them, so the villains couldn’t find them. You can also get your SuperZings a SuperCar. The box comes with a SuperCar and a SuperZings, but all the SuperZings that we received could fit in the car too. Meaning anyone could have a zoom around Kaboom City. 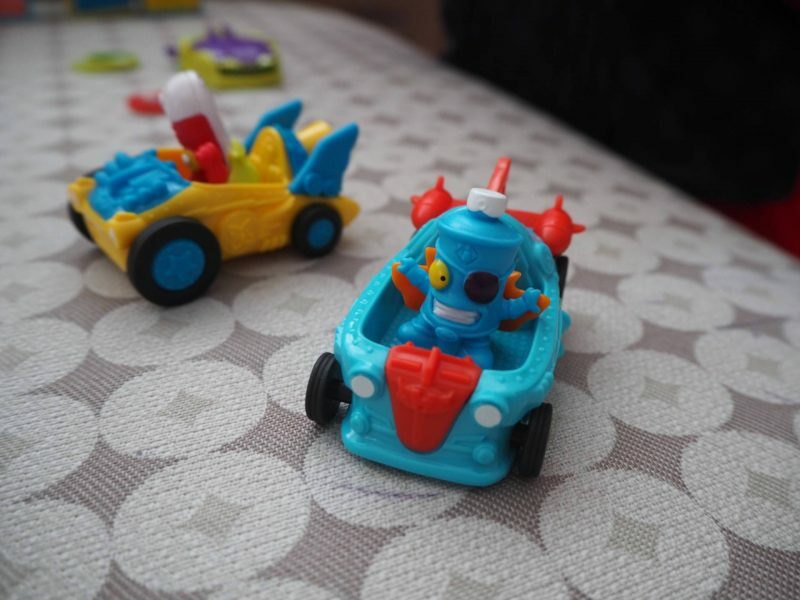 These really add to their imaginative play and my 2 loved whizzing them around in them. 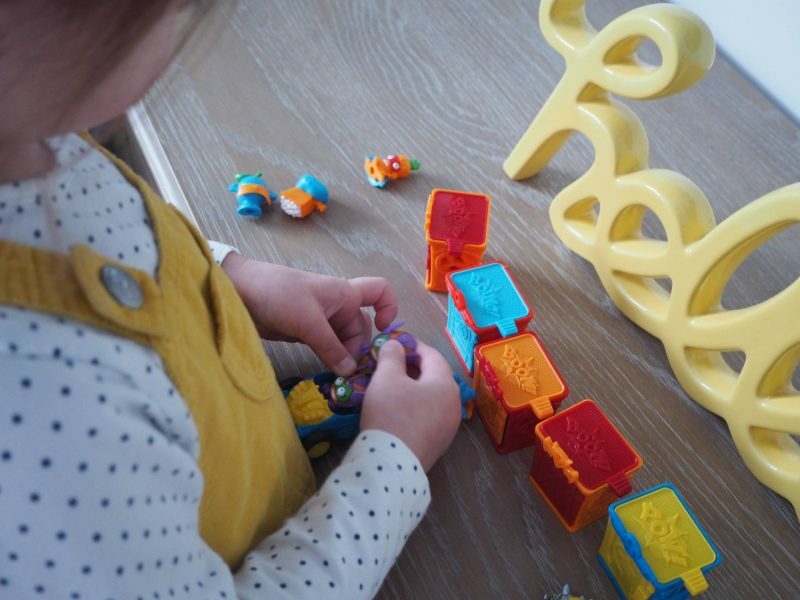 As with a lot of collectables you don’t know if your child is going to love them, play with them a lot and therefore they are a hit and they want to collect them all. Or if they are a 1 hit wonder. With SuperZings they have a nice easy, cheaper way to find out, that doesn’t involves you buying all 80 figures! 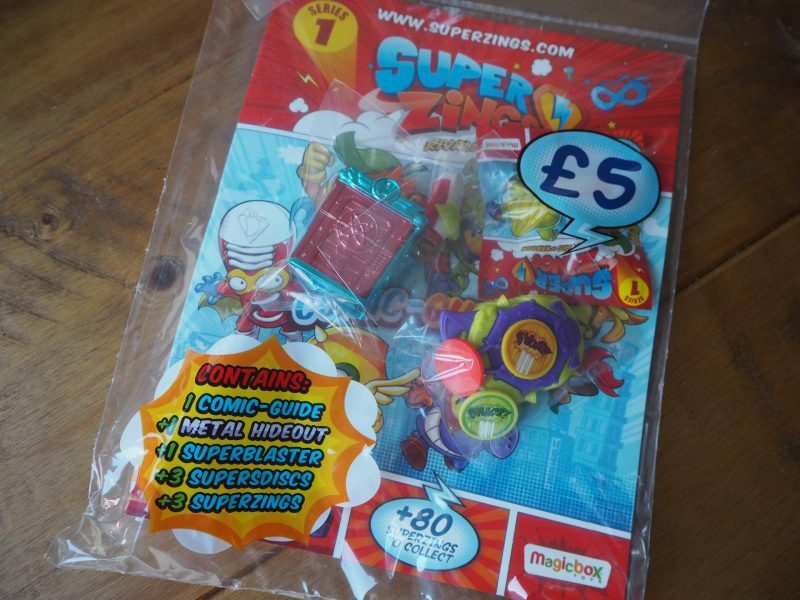 There is a starter pack option that you can buy for £5, inside the pack you will get 3 SuperZings, a Hideout and an exclusive Super Disc Blaster. 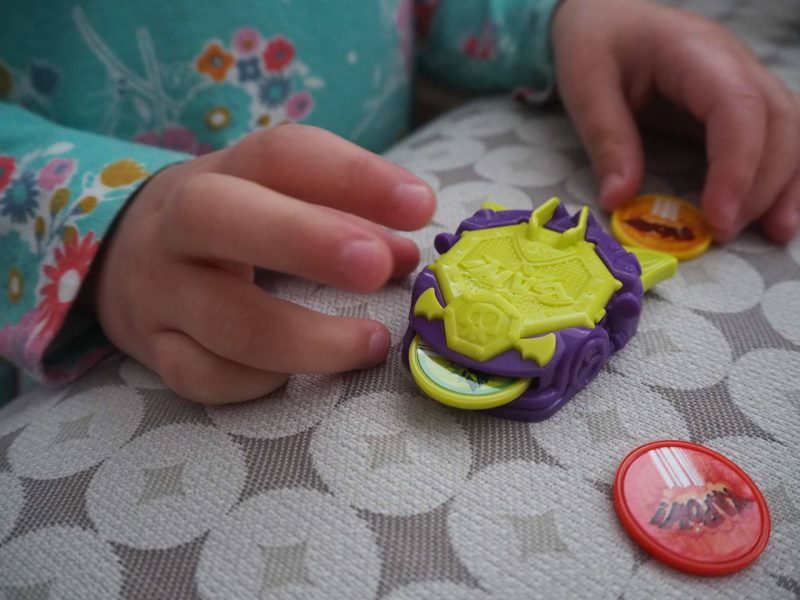 Which is everything you need to see if your child loves SuperZings without breaking the bank. Alice was very excited that ours contained a shiny metal hideout, which was different to the other ones. It also comes with a Super Disk Blaster, which was great fun to play with and another element to this range. It has 3 discs that you insert 1 at a time to blast! 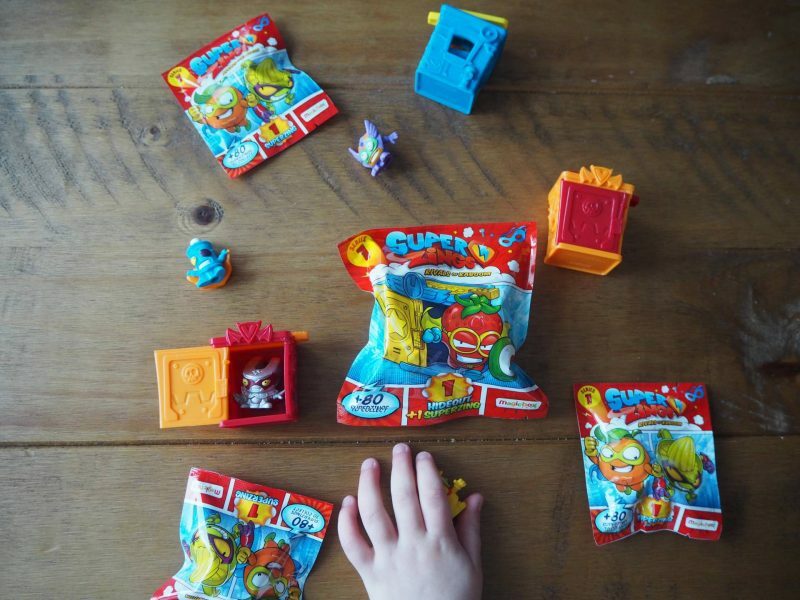 The SuperZings are great for children to buy with their pocket money, with a small blind bag containing a SuperZings priced at 80p and a large blind bag containing a hideout and SuperZings priced at £1.50. Even the SuperCars are only £2.50. I think this is a real affordable collectable range that children are going to love, without parents having to spend a lot of money. 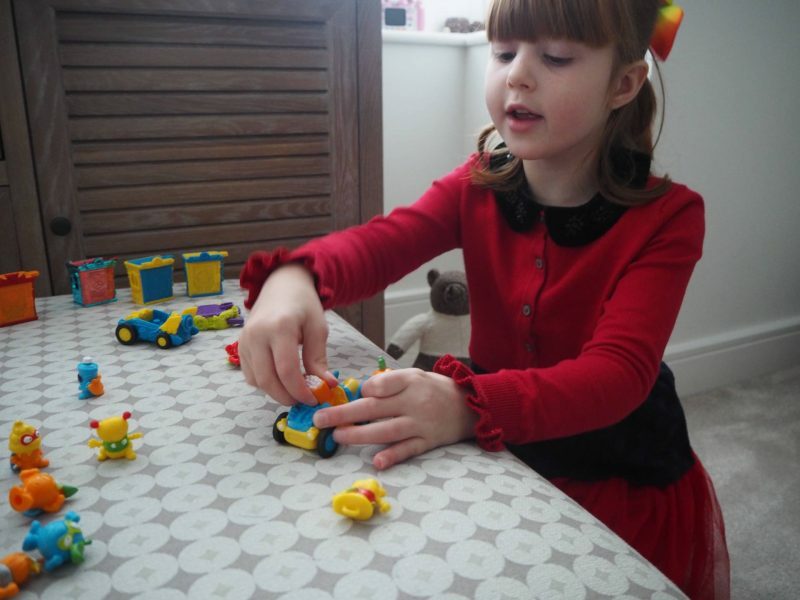 I love it when toys bring my girls together and they can enjoy playing together. 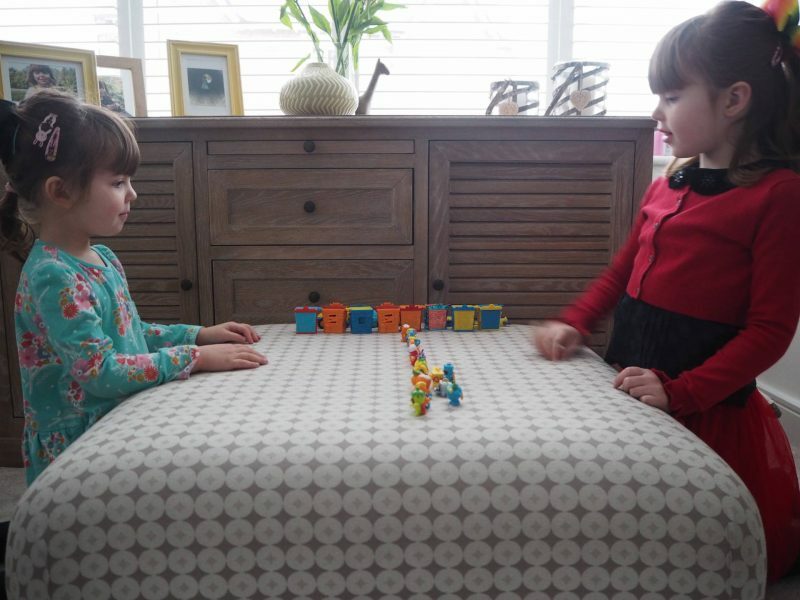 To hear their game and the fun it was bringing to them both is lovely to watch. If you get any duplicates, then they are great to swap with friends. I can see this being the next thing to hit the school playgrounds. 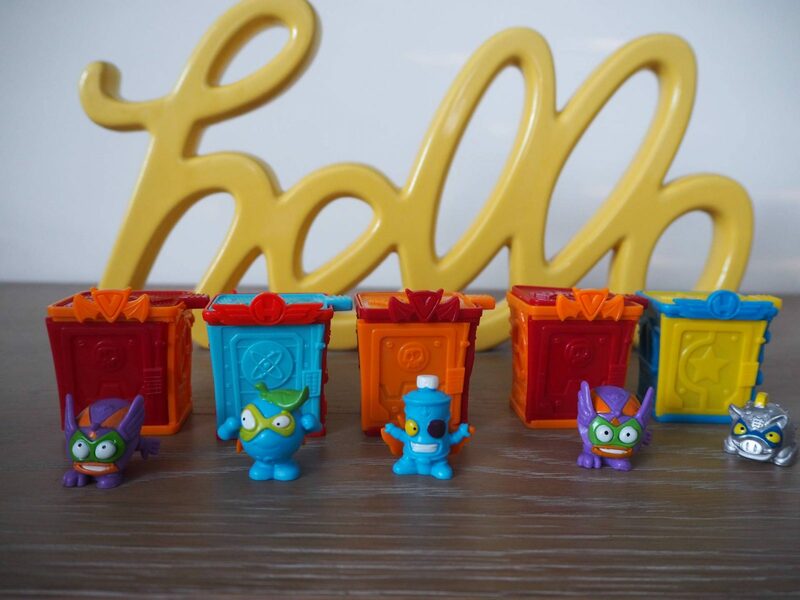 You can buy the full range from Magicbox Toys, just click here. Disclosure: We were kindly sent our SuperZings in return for an honest review. All views, opinions and photos are my own. Ooh these look interesting! 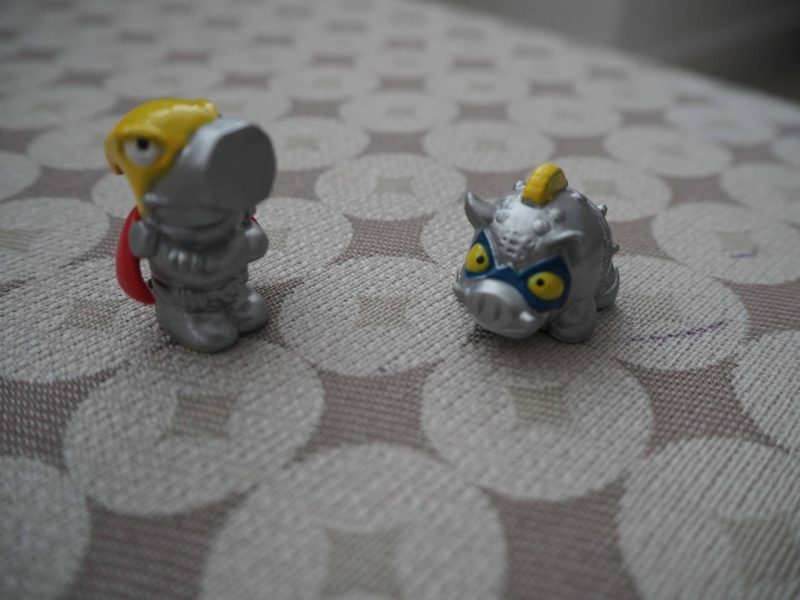 It’s funny how kids go crazy for little toys like this, my kids are obsessed especially with collectables! I think swapping with friends is a great idea too, Lovely photos! Oh right! Yes, they’re awesome! I’m amazed too with these toys, they’re my favorite collectibles. I got one ice cream and a TV, and now I need more! I think they’re the perfect collectable. 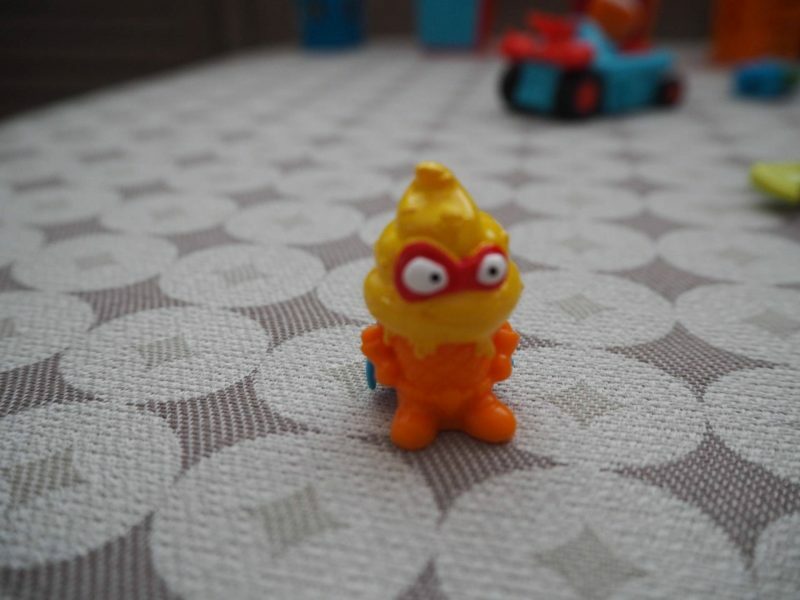 They’re really cheap (Like Zomlings), and that makes they more collectable and addictive. Kids do love a bling bad, don’t they? 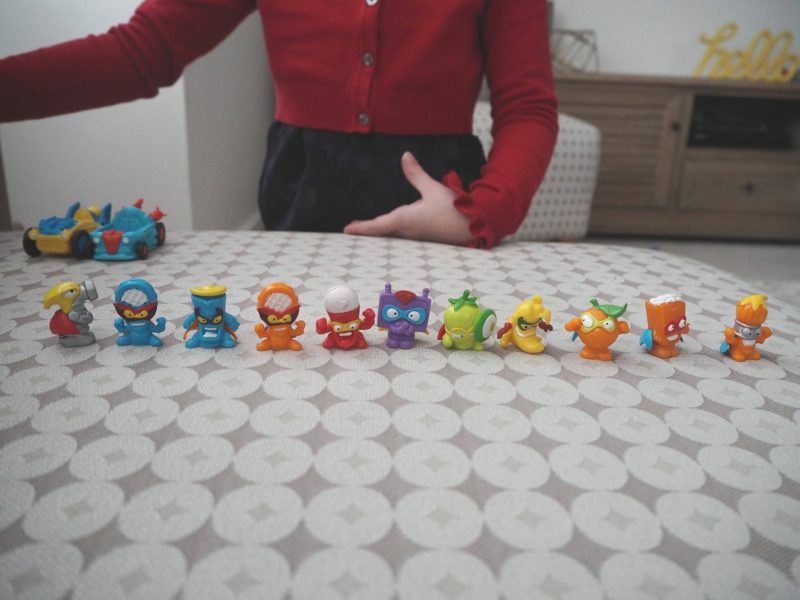 My friend’s daughter wanted loads of blind bags for Christmas, These look cool.